The Long Road to China: Do You Need to Add to Your Bag? 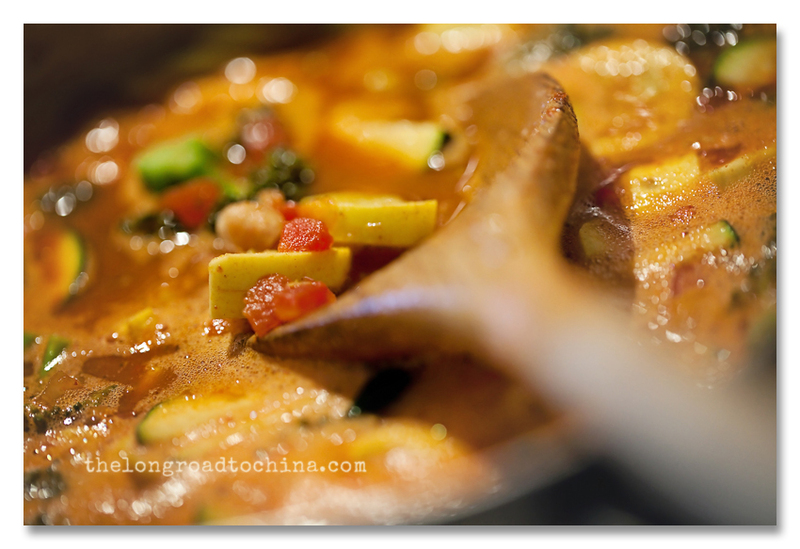 Tomorrow will be exactly four years that I started "The Long Road to China", and while I thought that the cookbook was going to be my celebratory giveaway, I was wrong!! Just an hour after I posted that my four year "blogiversary" was around the corner, I received an email with an offer that was....well, almost too good to be true!! You see, this blog thing has not always been smooth sailing, I hit a few bumps in the road, so to speak, and learned some valuable life lessons, but during this four year journey, I have also been extremely blessed to meet so many wonderful and truly genuine people. Some of you I have never met in person, but feel as if I know from our bantering on line, others I have had the pleasure of meeting in person and have become a part of my life, and then there are those that are as close as family.... like Marla, who got on a plane and left her family for two weeks to travel halfway around the world with me to meet my daughter for the very first time and Dita, who was there to meet us in the airport the day we arrived back home. My long winded point to all of this, I am amazed how this blog has weaved people into my life that I never would have met otherwise. I have crossed paths with so many talented and kindhearted women, and today's big surprise is a true testament to that. Through Karin, I have been introduced to Kurt, who is the owner of Cardinal Camera, a 3rd generation family owned camera store(now stores)celebrating 75 years in business!!! Kurt has stores popping up everywhere and recently, opened one at my favorite mall just minutes from our house. IT IS GORGEOUS and I could spend HOURS in there walking around, testing equipment, and picking the brains of his very knowledgeable staff. He carries everything you could imagine and then some, and in the rare circumstance he doesn't have something you want in one of his stores, he will order it for you in an instant!! He worked some serious magic for me(more on that later)and if you are looking to add to your camera bag, keep reading....we are getting to the good stuff, the details of the email that came through my inbox last Friday!! Not only that, if you enter the discount code "HALFSKY" when you check out, he will give 5% of your sale back to Half the Sky....... Isn't that fantastic? He will be leaving this code in place throughout the 2012 calendar year, so if you are doing any shopping, please remember to punch in the code when you check out or if you happen to be in one of his stores, tell the person who is waiting on you. Not only is he going to help me, help the Children in China through Half the Sky, he is going to give one of my lucky readers a GRAND PRIZE LIKE NO OTHER!!!!!! and even a portrait once in a while!!! We quickly realized it was going to be a touch choice, and ultimately we did not want to leave anyone out on this giveaway. So this is what Kurt decided to do being the SUPER GENEROUS GUY THAT HE IS. Whether you shoot with Canon, Nikon, Sony, etc..... You could be an avid photographer looking for a new lens or maybe you have always wanted to get into photography and just don't have the funds to get that dslr camera.......NOW IS YOUR CHANCE!!!! 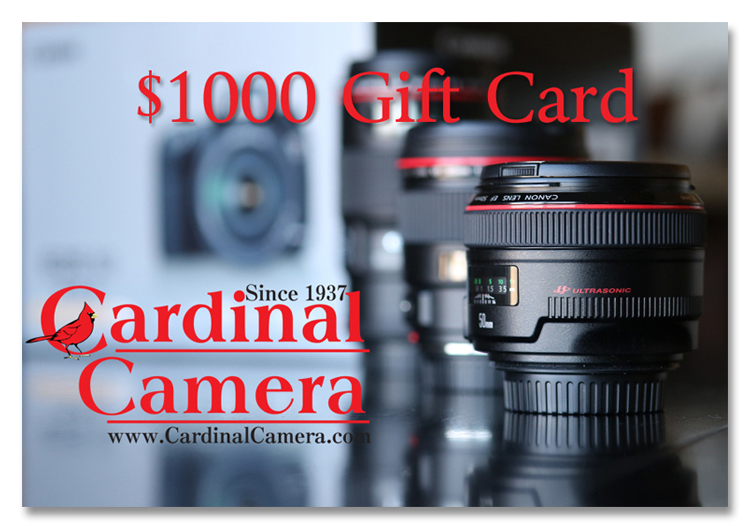 ONE LUCKY READER IS GOING TO RECEIVE A $1000 Gift Card from Cardinal Camera(you read that correctly, $1000)to purchase whatever it is you need or you are lacking in your camera bag from. Are you completely blown away? 1. Leave me a comment and just for fun, tell me what you would want to purchase should this $1000 Gift Card happen to land in your hands. Make sure I have a way to contact you should you win, IE: an email address. 2. Go to Cardinal Camera's Facebook Page HERE and "like" them so you will begin to get updates and alerts when he is offering specials or sales. Who doesn't love a great sale? You can enter through Thursday, April 12th at 11:00pm Eastern Time. The VERY LUCKY winner will be announced next weekend!! Okay, so leave a comment, go like their page, and don't forget if you need to purchase something camera related anytime this year, go to Cardinal Camera, use the discount code "HALFSKY" when you check out so we can continue to give back to the children in China. Best of luck and thanks for continuing to come back each day. You all make my life extra special!! Wowza!!! How wonderful! I'm just dreaming here...but if it were up to me, I'd buy the Canon 35mm 1.4L! i hope that Kurt's generosity is visited back to him tenfold! Happy Easter dear friend and happy four years! A new camera!! I have been researching and trying to figure out what camera is best for me:) Happy Easter sweet friend!!! Love you and Happy Resurrection weekend! WOW!!! This is absolutely incredible! I think I would like the 85 mm for my Nikon. I love the idea of a macro lens, though too. Tough choices!! Thanks for the opportunity! & CONGRATS on your blog-iversary!! I didnt even know that the mall had a Cardinal Camera there until we went to the movies a few weeks ago. I checked it out, its a nice place Kurt's got going on there! and, for fun, I'd get a fisheye to take with us on vacation this year. happy four years...have a great Easter! How wonderful! I would LOVE a new camera. Blessings to you and your family this Easter! I feel like the donkey in Shrek, saying "Pick me!!!" On my wish list is a lens (to be determined with expert advice ) for my D700. I need distance and range in low light, so I can shoot Ruby in the gym, and Ainsley on the VB court! Right now, I only shoot with my 50 and 85mm.. Need a new accessory for our crazy life over here that works with my full frame BFF!!!! What a great gift!!! Your blog, your talents and your friendship, have definitely blessed me!!! Wow that is an awesome giveaway Lisa! I would love to put the 50mm 1.2 in my bag or the 85mm 1.2 (my fav lens to use at work). I hope you and your family are doing well! Happy Easter to you and yours. Oh my word!!!! I would love to buy That 85 mm lens!!! 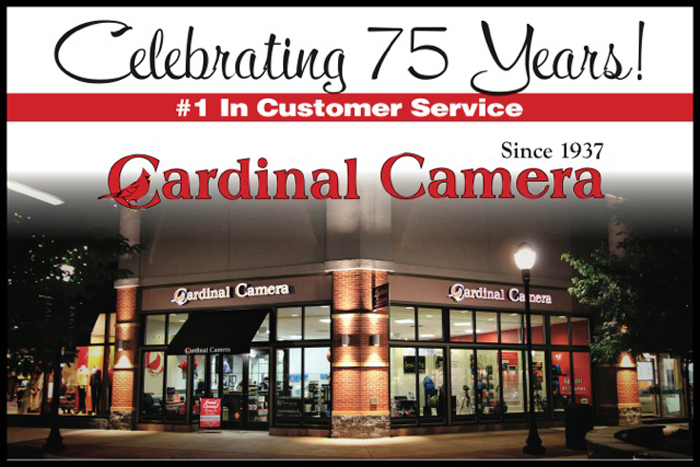 BTW we are LONG time customers of Cardinal Camera-we buy all our Cameras and equipment there and have for years at their Lansdale shop which is verynclose to us!!! we love tonsupport local and their service has always been excellent!!! LOVE knowing they have a heart for orphans!!! thanks Lisa and Thanks Cardinal!!!!!!!! Oh my GOODNESS! What an amazing giveaway! You'll probably get 5 million comments,haha! I would buy that closeup lens, mainly for Hubby's use as he takes tons of photos! I might, when I have more time available, learn to use that camera and lens myself! So thrilled to hear you'll be doing the Fill Their Stockings again...looking forward already! Have a wonderful Easter with your lovely family. Wow....I would love to have a new lens that would take great pics at my 12 year old's basketball games. Those gyms need more light :-) As do the baseball fields, football fields, etc. If it happened in the gym or at night, all my action shots are blurry. I'd buy a new camera......how exciting. Amazing! !I have been so blessed to get to know you this past year and I look forward to chatting with you more once we finally have our boys home and my life can revolve around something other than expedited paperwork! If I win the gift card (ooo, pick me! pick me!) I might add the canon 5 D mark iii to my bag or a new lens such as the 85mm f1.4. I cannot wait to browse his website. May God richly bless him for his generosity and you for being the amazing woman that are. Happy Easter, sweet friend! Holy smokes Batman! What an amazing giveaway! I think I would L O V E to have the macro lens. Thanks to you both for having such compassionate hearts for others. Amazing giveaway. And a tough choice... but I've been dreaming of a macro for a long time! That is an amazing giveaway and I am entering for sure! Not very lucky when it comes to stuff like this, but worth a try for sure! I am just a "moommy photographer" practicing on my 50D, however my kids are at the age where they are in dance, swim and soccer so I MUST add a long distance sport lens to my bag. Of course I will need some tips on what to buy, but that is my "hope" to add some day soon. Liked facebook too! Thank you for this giveaway. Happy 4 years!!! You are right, this bloggy world is amazing!!! WOW!!!!! What an amazing offer. I don't know what I would choose..... oh to have the options =) Happy Easter to you and your family!! To be honest, i'm not sure what I'd get. But i'd find something!!! This is an amazing giveaway!!!! Wow!! I am pretty sure I would purchase another lens. Happy 4 year blog anniversary!! Wow! What a generous offer! I love the adoption and blog community. Lisa, what an Awesome giveaway!! If I were chosen, I would use the $1000 to upgrade my camera from the basic Canon Rebel that I have. It has been a great starter DSLR, but if I'm going to get serious in the business, I think I need something a little more. WOW what a wonderful gift! I would either get the Canon 24-70L or the 85...or put it towards the new Canon 5D markiii...so many options there! I will be sure to use his site and the code for this years purchases! I had never heard of them until now, I'm always looking for a wonderful camera shop and now know of one that come highly recommended. Wow! What a great giveaway!! I love Cardinal Camera. I bought my Canon 60D from them and continue to use them to fill my camera bag. If I won, I would purchase several things: a Manfrotto tripod, Speedlite 580EX II, and a lens (35mm f/2 or 50mm 1.4)or both!! I am so glad Jeannie introduced me to your blog. You have given me great tips and recommendations. Happy 4 Years!!! Wow Lisa this IS amazing. I would love the 50 mm and I think if I won the $1000 gift card I would sell my Mark ii and buy the Mark iii. I here it is pretty fabulous. Have a great weekend and Easter. awesome giveaway!! i probably would get a new camera, i'm still working with an old nikon d40 and need an update. Thanks!! GIVEAWAY...well, now THATS SOME GIVEAWAY! I have to say I'm still in shock at Kurt's generosity. That was THREE ZEROS...not one, not two but THREE!! Completely amazed and excited for one of your readers here...and, of course...for FIVE PERCENT to Half the Sky throughout 2012! It truly doesn't get better than this. Lisa, your blog celebrates its 4th anniversary this week...but I and so many of your readers celebrate your blog every day. You have faithfully posted the goings on in your life rarely (if ever) missing a beat. You've given us amazing tips, recipes, your gorgeous family...and your oh so FABULOUS photography. You are a friend to all you meet and your generosity of heart is always the first thing people notice about you. I am so grateful for this blog...because if it hadn't been that I stumbled upon it over 3 years ago...I sure would have missed out on one of the best friends I've ever had in my life. I love you and I'm so proud of you for more reasons than you know! HAPPY ANNIVERSARY!! Karin & Kurt...awesome giveaway...just awesome. I'm heading to Cardinal online to swoon! Denise....you put a lump in my throat with your comment about your friend...that's why I love blogging so much...and having had the opportunity to meet you girls in person. What a great offer. Than,is Cardinal Camera! I would choose Canon EF 50mm F/1.4 lens. And thanks for a fun blog. Our 11 year old daughter is from Chenzhou and I enjoy reading about your little one. Holy Canoli! What an awesome giveaway! If I won I'd definitely get the 85mm f1.4 lens - that's the next on my wish list. What an awesome offer from Cardinal! And how amazing that he will donate to HTS. You know how I feel about HTS so even if I don't win I will definitely buy from Cardinal using that code! You are so very generous in so many ways! If I won I think I'd get the 85mm because you've told me so many great things about it. Happy 4 years blogging and have a wonderful Easter with your dear family!! You were right...this is AMAZING. What a generous offer from Kurt and I also happy to know of great camera equipment retailers out there. I am going to head over to Facebook next so I can like his page and be in the loop. If I won, I'd get the canon 100mm 2.8 L IS Macro. I'm hoping to focus on some food photography when I get off these darn crutches and I need a macro in my bag. The 85 is tempting though too. But for now I'd go with the 100mm macro. Happy Easter! 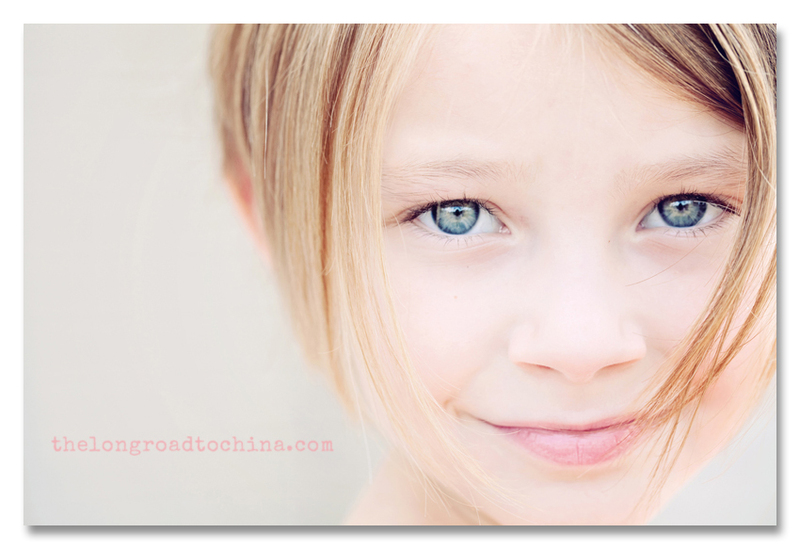 OMG, I have been following your blog for a while and love the tips you give on photography. This is totally a hobby of mine and my daughter's who is 13. I would love to buy a new lense for my camera. Thanks for the time you put into blessing others! Not sure what I would buy with a $1,000 gift card, I guess I'd let my beautiful wife pick something out for her self. Yay, happy happy 4 year blogoversary!! Amazing all that's happened in that 4 years, isn't it? I'm so thankful that the long road brought us together, I can't imagine my life without you, my friend! First - congratulations Lisa on 4 years. I've read with interest and much enjoyment over the years. Second - WHOA! what a give away. I'm in need of a longer distance lens, so that may be in my future. Third how generous of Kurt not only to give this giveaway on your blog, but to give to Half the Sky - so very cool! Wow! Happy 4 year Anniversary. What an amazing business Cardinal Camea must be! I would want a 85 mm lens for my canon! If I won I would purchase a Nikon camera...I sold my Sony when we decied to adopt again and would love to learn to use one!!! My excitement grew as I read the post, and was simply thrilled to see the prize! Now I hope I win. :-) Thanks to Kurt for being so generous! I'll most likely buy the D90 kit if I win this. OOOOHHHHHHH!!!!! Lisa you know that I would jump at the chance to upgrade from my Canon Rebel xTi! Liked the fb page and will def be checking out his website. Wow, What an awesome give-a-way and a great way to celebrate 4 years of blogging! I would get something for my husband, he has been wanting a Macro lens that we could just not justify the price for. I am sure they could hook me up. Thanks for the chance! This is AMAZING!!! What awesome generosity! I love it! I think I would get the 85mm lens for my Canon....although I might change my mind. Holy cow...how to choose?!?! Happy 4 years! I have loved following your blog. I just might get a new camera. WOW what an awesome giveaway. WOW.. what an amazing gift... You are an amazing lady... so if I won this amazing gift.. I would keep my camera I have... since good one... I would call up my friend Lisa (YOU) and have her help me with which lens or lens's that would best fit me.. then I would sign up for her next class so she could also help me... Have a Great Easter Weekend.. and as for amazing ladies.. I am with you there.... Love ya.. Hugz.. OMGoodness!! Well, a new camera for sure with a great lens for those super close ups!! Then I could take some awesome classes from a certain photographer who just happens to be celebrating a four year "blogiversary"! Oh, I would buy a new camera. 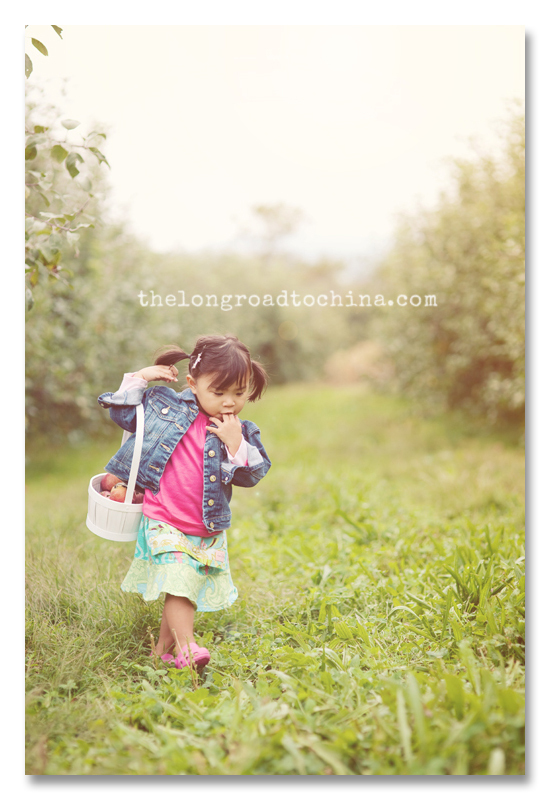 I need to take some pictures of my beautiful granddaughter from China! Holy Moses!! Wow! Let's see... I would totally buy a brand, spankin' new camera. I've been wanting to upgrade from my trusty point-and-shoot and dive into some real photography. Congrats on 4 years, that is truly an accomplishment to be proud of! Awesome giveaway...happy 4 year blog-anniversary. I would buy an awesome new camera..and then take one of your online photography classes the next time you offer one. Wish I had more time to practice! I am going to visit Jim Thorpe , PA for 4th of Julay. If I win I will visit the store (if not too :-)) and get your advice what I should get! I am ready for new lenses! Thanks for the giveaway and inspiration! What a wonderful give away! Not completely sure, but I think a 35mm would be fun to try. That is amazing Lisa!!!!!!!!!! I have both of those lenses on my short "dream" list & have actually been saving for them both for a while now. Am I entered by leaving this comment? I can visit his site- but I'm not on Facebook- does that mean that I'm disqualified from the giveaway? WOW! I am so excited! That is incredible!!! I am drooling over two of the lenses but I soooooo need to upgrade from my little rockin' rebel. I would, more than likely, use it towards purchasing a Nikon D7000! But, I could also use some new lenses and other accessories! OMG...what an AMAZING gift! And what an amazing man to offer such a gift, and to donate some of his profits to such a deserving charity. I'm in need of a DSLR camera. Have no idea how to use one, but I'd love to learn and am actually researching a little right now. Happy Easter & happy 4 years blogging! I knew this giveaway was going to be an awesome one but never expected it to be this amazing!!! Congratulations on following your dream and mission for 4 years, you and the work you do are amazing! I would love to upgrade to the M II and that would be and $1,000 would be a great start! I love going to Cardinal and drooling over it! Hugs to you my friend and congrats again! Congrats on the 4 years...that is amazing!!! Love the blog and looking at all your beautiful pictures!!! Since I am just getting into photography, or trying to anyways :) , there is not much I could not use this gift card for!!! I would love to grab a macro or wide angle lens to have fun with! Holy Cow! It's nice to know that there are some truly generous store owners out there. I NEED( WANT) (one in the same!) a 100-400. I love wildlife and this is the last lens I could ever hope to have. finger crossed...good luck to the winner....I'm going over to FB now and like(LOVE) them! Thank you both. Holy Cow!! You are most generous! Love the all the shots you shared this week too, congrats!! I like it :-) That would be the perfect b-day present for me and Richard (our b-days are in April). What would I buy? Hmm...probably another lense. Incredible!!!!! Wow. I would go with your suggestion for a lense - I have what my Nikon came with. Sadly, I use my iPhone camera most of the time, but would LOVE to learn to use the Nikon more. Your photos are such an inspiration. Thank you for doing the giveaway, and a huge thank you to Cardinal Camera!! I liked them on FB. lord have mercy..i can't even imagine!!! i would recover from my fainting spell & go grab the canon 7D (body) that i've been wishing for!! What an amazingly generous giveaway. I am not surprised though. 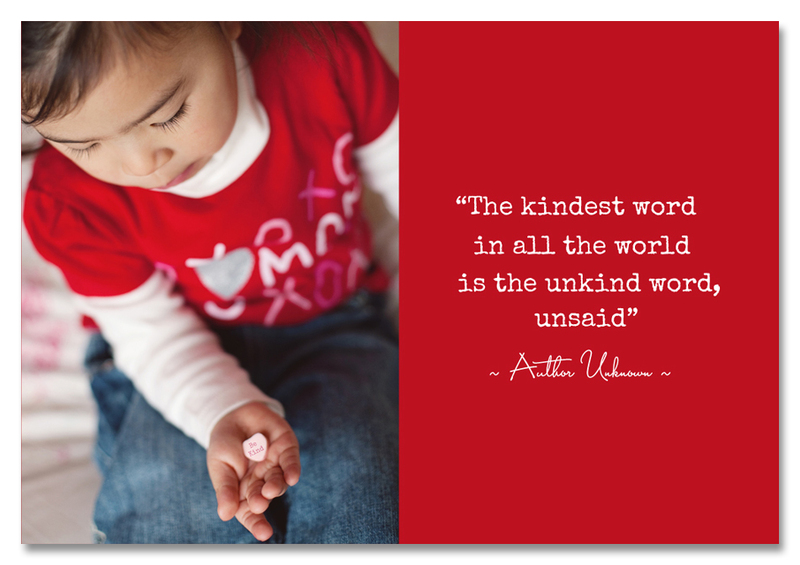 I tell my children ( and try so hard to live this way too).... that kindness begets kindness. And Lisa, you have always been kind. You help others all the time. You leave encouraging words on everyone's blogs. You share family recipes and most importantly you give back to those who need it the most...the orphans. As for what I would choose to buy...I have no idea. I have been so down on my confidence in my photography lately. I need a little shot in the arm. Maybe a macro lens? I have always wanted one of those to shoot food and florals (which were a favorite of mine to do). But I also could use something to help me catch judo, swimming, soccer and the sports shots I am constantly missing (a telephoto). It would for sure be a tough choice. Omygooodness!!! What an amazing giveaway and amazing people! Wow!!! If I could put anything in my bag it would definitely be a 85mm/1.2. Dreamy!! Thank you for being such an inspiration to so many out in blog land Lisa!! Oh my goodness, what a generous give away!!! If I won I would love a new camera that does more than my canon rebel does. However we met a wonderful family this weekend that was blessed with their first child through doemstic adoption three years ago and will now be bringing not one but two baby boys home from China! He is a pastor and she stays home and I would donate what I won to them to help towards their adoption as a fundraiser or to purchase a camera to take awesome pictures of their precious little ones:) Happy four years of blogging! You have been an encouragement to so many people through your blog! FUNNN! I would get a macro lens! This is so fun! Thanks! What an amazing give-away! Happy blogiversary :) I've always wanted a macro lens, but I would also LOVE to upgrade my Photoshop (I think cave men used the version I have). Tough choice! I would buy a Macro Lense for my Canon EOS 40D. I got my camera a three years ago for a Valentine's Gift. I too have learned the magic of photography. Happy Easter to ALL! What a great giveaway! I would probably get the canon 50 mm 1.2, but it would be hard to choose! Thanks for the link to Cardinal Camera. I will definitely check it out and use the code when I order. Wait.. maybe Photoshop. I haven't bought it yet and it has a hefty price tag. What a beautifully generous give away! If I won I would call you and ask you to help me choose what would make my photos look like yours! Have a blessed Easter! oh wow!!!! what an unbelievable giveaway! i would surely use it toward a new camera if i were the lucky winner. congrats on 4 years of blogging. i hope you keep at it as i love seeing your girls, pictures and reading your words! Wow, what a generous giveaway! I would get the speedlite I've been wanting for months now... and/or maybe the Tokina 10-17 fisheye, which is a GREAT wide angle lens for underwater photography! I just bought my 5D Mark III from Cardinal Camera - they were great! You and Pat are going to soooo enjoy all of these beautful photos and the commentary in your "Golden Years"!!! A special thank you for allowing all of us to follow your jouney!! Thanks so much for this opportunity! I think I would use the gift card to upgrade my camera, as I have recently started my photography business. Wow... I got goosebumps when I read about the generous prize and the amazing heart of this company, that they will donate 5% of their funds towards Half The Sky foundation when people mention them or enter the code... you should post that on our fb photography pages! Wow! What a great giveaway! I have been saving for a Canon EF 70-200mm and this would definitely speed up the purchase time! I would LOVE to get some new lenses, like an 85 mm and a nice macro lens! My goodness! Four years huh? Well, lovely lady I feel as though I've known you forever and it's been not even two! I love you so, your blog is my favorite one to read, it's a happy place. Your family is so beautiful and you're photography talents are unprecedented. I know you're one of His favorites, your pic is front and center on His fridge and surely in His wallet. Your generous soul is one to be admired, you've been through alot so your empathy runs deep. Kurt's. Regardless, I'm thrilled to buy anything I need from here on out from Kurt, hubby is nearly positive he bought my Nikon 7000 from him two Christmas's ago. Alene, his assistant, is digging up the info. He bought it two days before Christmas Eve and Kurt spent a long time recommending and answering questions. In the end, my husband got me my rockin' Nikon, a swanky bag, a flash thingamadingy, extra battery, memory card all at a great price and it arrived just in time to put in Santa's bag! P.S. It was Cardinal Camera! Whoop! Small world! If I were to win, I would a camera and start shotting pics of my 2 beautiful girls. Sure hope I win, God Bless you both for your generousity. I would definitely buy a camera! We just brought our daughter home from China about a month ago and our poor, sad little camera just doesn't do her justice! Email is sharronk@me.com. Thanks! Congratulations on 4 years of blogging! I LOVE reading your blog and seeing your gorgeous pictures. Your giveway is amazing and very generous. D808, a 85MM lens and 100MM Macro Lens. Wow - what an amazing giveaway! I would LOVE to buy lenses....50mm would be great but so would 85mm. So many choices. Also a super cute camera bag. Oh the possibilities. Oh my goodness, what an amazing giveaway! That is just so generous of Kurt. I have to admit, my jaw dropped when I saw that prize. I wouldn't even know where to start with that much money. I think I would go for the Nikon 70-300mm. That'd be a good versatile lens for my hikes. what a generous giveaway! I'm soooo excited! fingers crossed!I "liked" them on facebook! Congratulations on your 4-yera blogiversary and thank you for the very generous giveaway. I have to be honest, I would get a new PC to replace my 12 years PC and a beginner dslr. I AM totally blown away by how generous some people are. I would get any kind of camera that is "idiot proof" (LOL). Wow! What a generous giveaway. If I'm the lucky winner (fingers crossed! ), I'd buy the Tamron 90mm macro and the Canon 20mm. Wow..I am blown away as well but what a wonderful group of friends you have. I have the Nikon D90 so not sure if I would upgrade or purchase a new lens...I would be so so excited to hear from you! Oh my word... Have not been out to blogs in forever and right out of the gate, this is what I see! May the blessings you and Kurt are sharing return to you both ten fold... You are proof of what a difference generosity makes!! Happy for years!!! You know Lisa I would trade in my bottom of the barrel rebel and get the camera of my dreams! Whoever wins, I pray that they are overwhelmed with joy! Happy Easter my friend!! Oh wow what an amazing giveaway! How lucky is the person that is going to win this. I have been eyeing the 85mm lens and a upgrade to my 50mm. Hope you have a wonderful Easter weekend! I would love, love, love, the sigma 1.4 lens. The next step in my photography journey is getting a lens and I'm blown away by the cost! I really need to do it though because I love me some bokeh! WOW! This giveaway is AMAZING Lisa!! Gonna head over to Cardinal's FB page now. If I won, I would use it to upgrade my camera. My entry level Nikon D3000 is great, but I already want something with higher ISO and shutter speeds. I haven't quite decided what I want yet, but having an extra $1000 to spend would make it much easier to decide! I swear my heart stopped for a moment - what a beautiful and generous soul! If I were to win, I would purchase several point and shoots for the local Boys and Girls Club! I tutor some students over there and know they could really use them! WOWSA! What a giveaway!! I can't believe it has been 4 years for your blog. You are an amazing mom, friend, photographer and teacher. I am so blessed to know you. What a great blog. Karin shared the address with me and I'm quite excited about your giveaway too! I would love to purchase a 50mm 1.8 for great portraits. And a camera bag that would be easy to tote and yet hold anything I might need on a shoot. Oh Lisa, that is the prize of all prizes! What a way to celebrate four years of your blog! If I ever had a gift certificate like that I just might drive down to that store and soak it all in. One of the biggest "holes" in my camera bag is that yummy 85mm 1.4 lens. That's the one for sure I'm lacking. Off to "like" Cardinal Camera on facebook... thanks Cardinal Camera for your generous donation! It sure is going to make one lucky person oh so happy! Love you, girl! Happy Easter!!! Oh, what a sweet giveaway! Hmmm, an 85 or a macro for sure... but that would be tough to pick. Wow Lisa, what a giveaway! Amazing! I would buy the Canon EF 135mm f/2L in a heartbeat! It is next on my list and it cost 1,000. I've been gathering up equipment of mine and my father's to sell/trade-in, but it won't come close! P.S. I really like that you shared what lenses you used to take those images. Thanks. Getting those precious memories is even more important since we found out Lily has Congenital Muscular Dystrophy. Oh my, oh my.... we're all in desperate need of camera equipment, and I am no exception. I would LOVE to receive this gift card. A new macro lens, and a few other lenses too, those would be what I need... And a new tripod since I managed to break mine. Wow! How exciting! I would love to get the Sigma 85mm f1.4 lens for our trip to China to pick up our little sweetie and to capture moments with her 4 brothers! How generous! Hope you and your family have a wonderful Easter! Wow is right!! What a generous donation! Seems like generous people must stick together as you are as generous as they come! Generous with your time, your talent, your family and your friendship. Lucky me for finding you four years ago. I have loved following along with you and your adorable family!! I would love either a new lens or maybe even a new camera:) I need a new bag and some other little things as well. So I am sure I could find some way to spend that gift card. Either way I look forward to ordering some things from Cardinal as the cause is near and dear to my heart:) thanks for hosting! Look forward to "talking" agin in the next few weeks!! Is this giveaway open in worldewide - if it is, we need a macro lens to our Nikon D 5100!!!! WOW.. what an awesome give away! I think I would actually upgrade my Nikon! How awesome that he is going to donate to your orphanage! love it!!! I bought a camera from Kurt at Cardinal Camera a week or two ago. Not only was his customer service outstanding, I received my package the VERY NEXT DAY! Thanks again Kurt for you generosity! SWEEEEEEEEEEEEEEEEEEEEEET!!! WOW!! How many more "tricks" to you have up your sleeve, LOL!! Girl, you are amazing! $1,000.00, Really? That is INSANE! I see you have had a VERY busy day! 130 friends already thanking you for the opportunity to win this tremendous gift. More importantly, so, so many friends thanking you for ALL you have done in the past 4 years. Getting to know you in this past year, it is "clear" to me why you are so loved. Lisa, you are truly "one of a kind" and I am so blessed that I, like so many, found you. As far as my "wish list"... now that I have my long awaited 85mm lens, I think I would have to go with a macro or maybe if upgrade to a new camera? I am so excited to shop at Cardinal Camera and see what trouble I can get into, LOL!! Long time blog reader, first time commentor! But how could I resist with such an awesome giveaway? I love your photography and don't have a dslr camera. I'd definitely get one! Congrats on four great years and Happy Easter! Wow I would get a new lens for sure! I love your photography also!! Wow, what a generous giveaway! I think I would upgrade my DSLR... I'm shooting with a Nikon D3100 and I'd like to have something with a few more features. I'm don't suppose I would even be eligible for any of your giveaways Lisa, but just wanted to comment anyway. When someone shows such generosity for no personal gain it truly restores your faith in human nature. Wishing all your family a Very Happy Easter. Happy 4 years and Easter! I always enjoy your photos of the girls...and I WOULD LOVE to win! I think I'd go with the Nikkor 105mm Micro! 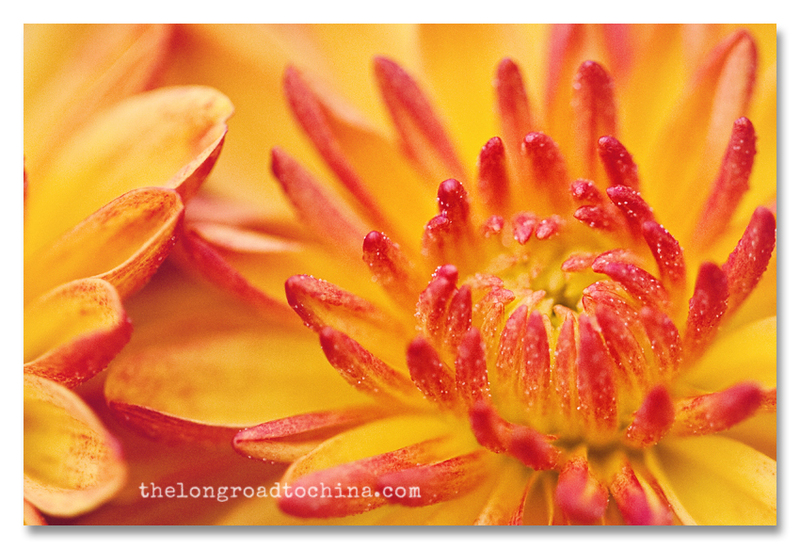 I love Macro photography and I could never spend $1000 on lens and NOT feel guilty! My first choice was to get the new 40mm macro, but that would necessitate getting closer to the subject then I would prefer, so the 105 would be great! And if he gives part to Half the Sky all the better! I will be buying there!! Wow! What an offer! I would love to be able to let my husband get a new dslr camera and let me older children start practicing with the old one. Thank you for such an opportunity! Wow! You certainly know how to celebrate! I just looked up Cardinal Camera and there is a location not to far from my parent's new house. I'll definitely be checking them out the next time I visit! What would I buy?! Oh boy... I've been wanting new glass, but $1000 would go a long way towards making the D700 an option for my budget! Or maybe I invest in a new speed light?! At the very least... it's fun to dream! Wow!! That's an awesome giveaway, Lisa!! So generous of Cardinal Camera!! I just liked them on FB! I would love to win $1,000 for a shopping trip to Cardinal! I would probably purchase some new lighting equipment. Happy Four Years of Blogging! Definitely buy a new lens for my Cannon but I'd need help picking one out. Shoot, with this I could get a new camera. What an AMAZING giveaway. I would love to use that money to put towards a DSLR camera. Congrats on 4 years of blogging. I am currently stuck using a little p&s because my DSLR broke and we can't afford to replace it... needless to say this would be a dream come true!!! Wow! That is incredible! Congratulations on the 4 years and I am so thankful I found your blog during my wait for Sloan's referral. It sure made that wait more tolerable. I would love to upgrade my dSLR or that 85mm might be nice too! So exciting! Congratulations on 4 years! I haven't been reading that long, but I have loved visiting for the last 2 years! I think I'd choose the 85mm. Or maybe a macro lens. Thanks for all the inspiration you share! What an amazing prize! I know why you were so excited about it. If I were to win I would buy an 85mm lens for my camera. As you know, that is #1 on my wish list. Thanks! I need so much, I'm not really sure where I would start. I would definitely try to get some new lenses, but I'd have to really think about which one first. Thanks for doing the giveaway! Lisa, I visit your blog because I'm just blown away by your photography. The artist in me appreciates the composition and lighting and those adorable girls. And because of YOU, I'm going to own a big girl camera by the end of this year. :) I need to get one before my daughters have babies...so I have to start practicing now on their puppies! I look forward to joining one of your photography classes some day soon. WOW!!! What a wonderful, generous gift that your friend has offered! Hoping through his generosity that many visit his store! I know I will if I ever come across one in my travels!! Congratulations on your 4 year blogaversary! I just don't know, love canon & I am I need of a new lens or two!! !hmmm, well that is too nice & too crazy to think that someone would be sooooo wonderfully generous! Lisa, your rock the house on inspiration & wowness, thanks for being super kind, helpful & self-less! This is AMAZING! What wonderful, generous friends that you have. I am in the process of researching new lenses for my Canon 3Ti, so it would be an awesome blessing to receive such a gift. Thanks for doing this! Wow that Sigma lens seems dreamy! Wow!!!! I would get a EF 70-200 F/2.8L USM! I still have my kit lens and have wanted a nicer lens since purchasing my camera 6 years ago! Congratulations on your 4 year anniversary. Omg!!!! Thank u Cardinal Camera for this wonderful offer! This lens wld be a great additiion to the "kit" lens tht cameith my DLSR. It is an honor to be even considered! Going like your pg!!!! Congrats on 4 years! I have enjoyed learning little by little your wonderful skills in photography. Love the glimpses of your fashion, fun and full life. If I received something as wonderful as this crazy generous giveaway I would go straight to my camera wish list (suggested to me by a dear friend ;-) - "85mm f1.4 for portraits of a single subject or close ups of.. two..."
Ohhhhhh a macro...... I really want one!!! What in the world!?!?! This is AWESOME! YAY!!!! If I win.... I definitely would want the f1.4 lens! This would be perfect for my future trip to China! Congrats Lisa on 4 years and thank you Karen and Kurt and Lisa for the FABULOUS give away!!!! Holy Smokes! I'm still fairly new to the world of photograpy but am trying to learn-as-I-go! I bought a Nikon a while back...but can't bring myself to buy any additional lenses yet. I've been eyeing a 300mm that I would LOVE to get if I happen to be lucky enough to win this contest. I'll be checking out Kurt's site and, in light of his generosity and willingness to give to some of "our" most-vunerable...I hope to find something that IS in my price range to purchase from his store! I would love to upgrade my Canon camera body! What a wonderful giveaway! I really have no idea what I would buy as I've never used anything besides a pretty basic digital camers. However, I'm sure that with lots of research, I'd find something pretty darn awesome to get! Happy 4th anniversary, Lisa. I can imagine that the road as you say wouldn't have been so smooth but am so pleased that you've made such wonderful connections. In relation to your giveaway - I should forewarn you that I'm in Australia so I mightn't be eligible but if I had the card I would give it to a fellow australian blogger who would just spend this money so well. She's a mother of eight who has only recently found her skill in this arena and her photos are just glorious to look at - she's intelligent and would purchase wisely and make the most and truly appreciate and honour an item received in this way. I would love to get a new camera. I'm not sure which one yet. I would need some expert advice. A new camera!! or lens!! or...just thinking about it makes me go crazy! What an awesome giveaway! How amazing! I think I'd go for the 85 mm for Nikon. . . something on my wishlist for awhile! Congrats on 4 years. Love your beautiful pictures and words. This is just too good to be true...here's why. Because I just can't afford a DSL camera but sooo enjoy photographing my daughter and often have to borrow my dad's Nikon or sister's Canon. So, I would just be buying my first camera to take REAL pictures and maybe, finally be able to take your photography class! Yeah! Wow what an amazing offer! I would purchase my first dlsr camera! I have been following your blog for the last 2 years. Your blog has inspired me. Some days its brings my so much laughter and other days tear - I love it and just can't stay away! ooopsie, i left my comment without an email address. If I won....I would definitely pick up one of their amazing lenses. faint. We bought our camera when we adopted our son from China in 2008 after about a million photos of him and his older sister it has now gone south. Our 7 year old daughter also adopted from China does competitive gymnastics and we need a new lens that allows us to get good photos at her competitions. So the gift card would go toward the purchase of a new Sony camera and lens. Thanks for such a great give away! I'm hoping to win for my mom who is a budding photographer, without much money for equipment (she just has a basic Nikon and one extra lense). She takes great pictures with what she has though! A new lens! I am shooting exclusively manuel now and only have a kit lens! Happy 4 years! Thanks for the inspiration you provide! First purchase: the perfect bag!! Wow! 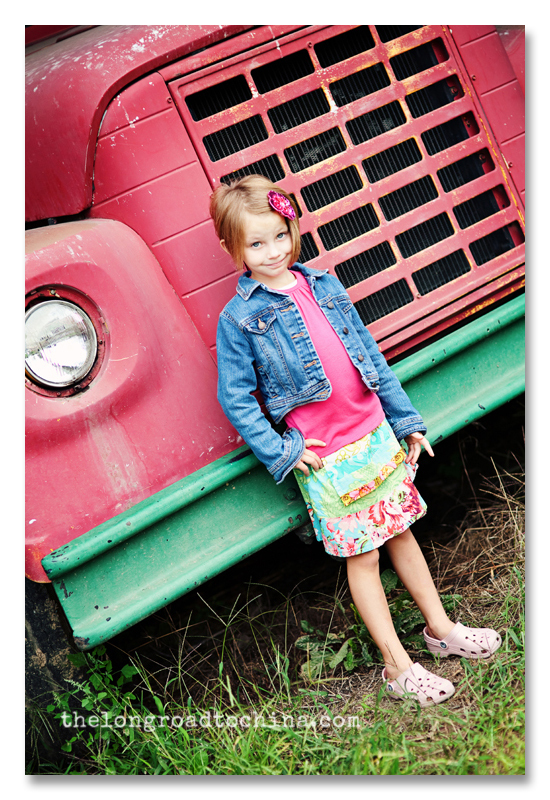 I love looking at your blog and seeing the wonderful pictures of your children as they grow. I would use this gift certificate to get a nice Nikon so my daughter (the ohotographer) could teach me some great photography skills, too! What an Amazing opportunity....I would love to get my husband a new lense or camera accessory!! Thank you for the chance!! I liked the Facebook page... and I'm leaving a comment :) Gosh, there are so many things I want to get - put probably a better telephoto lens than the one I have now for when I shoot weddings!! WHAT A GENEROUS GIVEAWAY, but more important what a wonderful friend you found in Karin. I thinks it is great how blogging has connected so many and how so many women are doing photography. You have inspired many Lisa. Beautiful post and have a safe and Happy Easter! PS Shelby is actually walking, yippee for my back. I only have a little digital camera so anything would be better. they really enjoy the pictures I take of our two girls from China now ages 5 and 9. If I won I would definately need to take classes from you. Sorry I'm anonymous but I'm not to savvy with the blogging world, mostly due to lack of time so below is my email. This is such a great giveaway and I love the donation to Half the Sky! Very generous!! If I won (first I would freak out) but then I think I would buy a Nikon wide angle lens. OR I might buy another 5100 body just to help with the whole "changing lenses" thing. Thanks for all you do and for your wonderful blog! Oh my !! I've been wanting to invest in a different lens, but now you've peaked my interest in the Sigma, Lisa. I think if I win I'll need a little advice from you! What a generous man. It sounds like he is a class act with a big heart! Happy Easter to you and your beautiful family, Lisa! Hi Lisa! I would love to be entered into the drawing. I am NOT a camera afficianado so have no notion what might be right for me, but it would be fun to learn. :) I hope you are doing well!!! Super cool giveaway! I'd probably choose a macro lens. Thanks! Wow, what an amazing gift! I am not sure what I would get but I know it would be a new lens for my Canon! Maybe the 100mm f2.8..... oh the choices! Hmmm, it would take me about .002 of a second to decide what to get if I won... a 24-70mm 2.8... my DREAM lens. It's so fun to imagine! Can't wait to see who the winner is, I know this will bless someone's socks off!! Lisa, such a fabulous giveaway and love the collaboration with such a generous business owner! Just today while visiting the town of Nancy, France, I told my hubby that I needed a new lens more than anything else. I just use the standard kit lens and have needed to budget for some other lens. Indeed, I also need to have my lens and camera cleaned (NIKON D5000). So many interesting things to photograph in an ancient city, still hustling and bustling today. I'll add a few of my favorites to the FB you set up for our group. I would so so love to win the new Sigma 85mm f1.4 lens as just one item that the $1K gift card would buy. Really, really love to have it in time for our spring break trip to Holland and the Tulip Fields. But if not I'm going to check out the link to Cardinal Cameras and see what might be available in the range of my budget!!! Gotta get a new lens to photograph the beauty that surrounds me while I'm still here in Germany and sometimes lucky enough to travel a wee bit while we're here. I too am not familiar with blogs and such so went the anonymous route. Such an amazing giveaway! I would get a dslr camera. First of all, I love following your blog! You have such a precious family and your photography is amazing. Thank you so much for doing this blog and for this special giveway. Oh my goodness...so unbelievably generous!! I've got my eye on the 85 mm 1.2. Oh i hope to win! Thanks so much for entering me. I am thinking that the Sigma 85mm lens would be perfect for my bag!!!! What an amazing giveaway! Wow! What a great giveaway to celebrate your four year blog anniversary! If I am lucky enough to win, I think that I would either use it towards a full-frame Canon DSLR or a Canon 50mm f/1.2 lens. Happy Easter to you and your beautiful family! Oh my goodness, Lisa! This is such a fabulous prize and wonderful cause!!!!! Thanks so much!!! I would love to just get a good DSLR camera and take some classes on how to really use it. Sports shots are what I try to take right now with my Nikon. beautiful writeup and awesome opportunity! I think I would purchase an 85mm 1.4 (Sigma) for sure.. and if anything is leftover, a few memory cards to give out to my photographer friends.